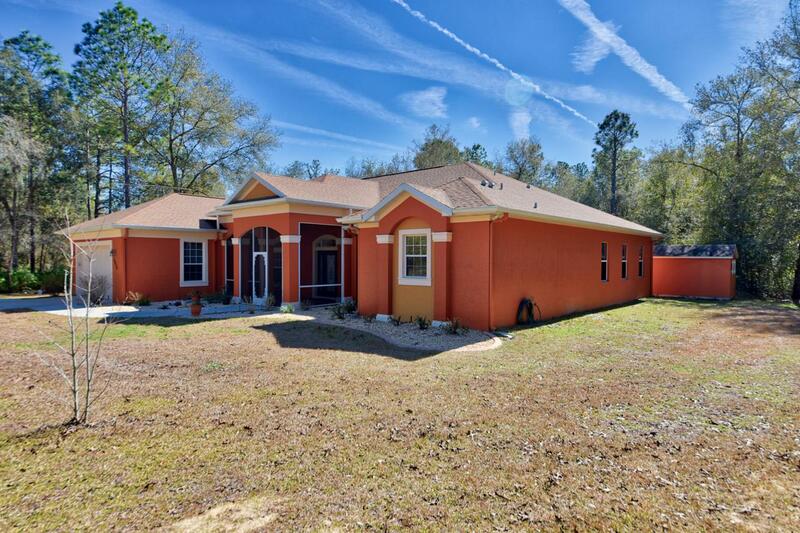 This extraordinary home on 2+ Acres with 4 BD, 3 BA with volume ceilings throughout. The foyer is set between french doors opening to dining room on one side and home office on the other. A livingroom flows to the familyroom which is off the kitchen with extensive cabinets and aquarium window to view nature. The master suite on one side of this divided floor plan has a 38' master bedroom with tray ceiling. The sitting area at the end could be separated for a second home office, or an in lawkitchenette could be added. Lots of potential use for unique needs exists.The inside laundry room has great storage. 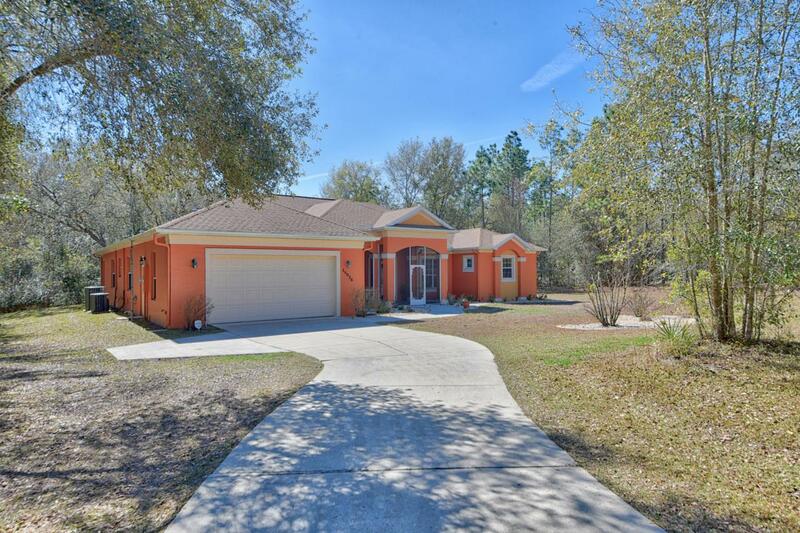 See attached floor plans of this home built in 2006.The owners have lovingly made a private retreat of this double lot, by adding a private screened in gazebo on their walking trailEnjoy sitting in this refuge and watch nature. A shed is behind the home for additional storage.Screened in spacious front porch has pavers, just like the covered lanai in back. The Rainbow Springs Community Center has just opened with all kinds of amenities: tennis, pickelball, bocci, horseshoes, billiards, poker, cards, swimming pool, disc golf, picnic pavilions, restaurants. Great community spirit for those who wish to be involved. 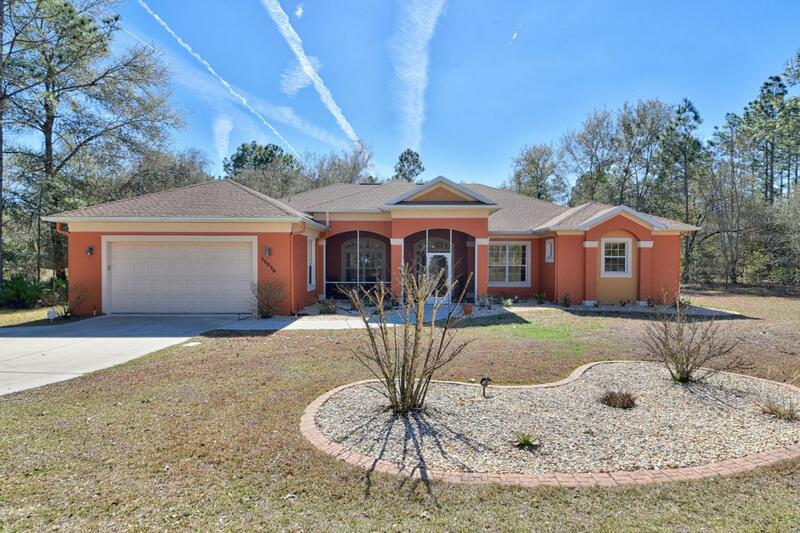 The private residents beach offers swimming, kayak launch, covered picnic areas on the beautiful Rainbow River.One of the lowest HOA's in Florida for amenities, under $20 a month! This is the sweet spot. 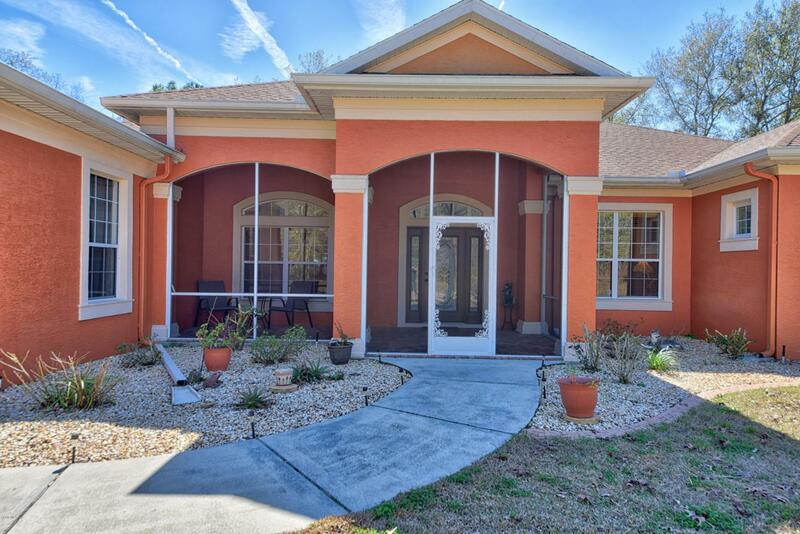 Listing provided courtesy of Sharon A. Harris of Sellstate Next Generation Realty.